To make SureFire CPR the most complete emergency training company for you, we’ve expanded our operation to offer both service and sales. Of course, our service is known all throughout Southern California for exceptional prices, thorough instruction and energetic, interesting course content. To continue this superior level of customer service, we are proud to announce a premium AED (Automated External Defibrillator) selection, designed for optimum use in 3 different environments. Most instances of sudden cardiac arrest occur in your home, workplace, or a local civic organization (non-profit, school and other similar locations). To help keep you more prepared than ever to handle these life-threatening situations, SureFire CPR offers a trio of AED packages, all priced for unbeatable value (please contact us for additional details). Many safety-conscious teachers, supervisors, lifeguards and other people are looking to find the best place to get an AED for sale. Since SureFire CPR is already regarded as a premier source for life-saving training classes and courses, we thought it would be a great idea to offer AED machines. No middle man. No confusing sales pitches. Just rugged, dependable defibrillators at great prices. This AED package is perfect for homeowners, renters, students and other people looking to enhance their capability to effectively manage sudden cardiac arrest (SCA) and other cases where a defibrillator is required. Most cases of SCA occur in a residence – your home, a relative’s apartment, your friend’s place and other familiar venues. Preparation is imperative. In fact, having an AED at your home can often times be the difference between life and death. Don’t take chances – check out our Home AED package today. Please call 949-444-5468 for pricing! Ideal for company safety and first-response protocols, the Business bundle can be used in manufacturing areas, offices, lunchrooms and other areas. The wide-ranging function, ease of use and dependable performance has made the Business Bundle extremely popular with small, medium and large size firms. Many cases of SCA happen in stressful working environments (construction sites, production lines, etc. ), but keep in mind…sudden cardiac arrest can strike when least expected. Even quiet offices can host an episode of SCA. Are you prepared? Does your company have the life-saving tools available to handle SCA? If not, our #2 package is for you. Bolster your first response capability in day care centers, preschools, elementary schools, high schools, universities, civic centers, convention centers, government buildings and other community facilities with this exclusive Schools and Community AED package. Includes everything in our popular Business Bundle (see above), along with Pediatric Electrode Pads designed especially for infants and small children. If your school or community center needs to improve its overall safety plan, adding an effective, emergency-ready AED is a great place to start. AED defibrillator cost shouldn’t be the deciding factor between your organization and the ability to respond to sudden cardiac arrest. SCA can impact anyone, anywhere at any time. A key statistic for sudden cardiac arrest: for every minute that passes without medical attention following SCA, the victim’s chance of a full recovery falls anywhere from 7-10%. Each year, almost 1,000,000 people suffer from cardiac arrest (and that’s just in the US and Europe alone). Daily self-check for system integrity – your Philips OnSite Defibrillator will always be ready for an emergency. 8 year warranty (includes 4-year warranty on battery pack). Training option – easily convert your OnSite AED into a training device. For those customers who wish to upgrade their Business Bundle (#2) or Schools and Community (#3) AED packages, you’ll receive the Philips HeartStart FRx AED. This device includes all the features and benefits of the Philips OnSite AED, plus a few more. The Philips HeartStart FRx AED includes an infant child key, intelligent data collection (to assist medical technicians and doctors BEFORE the patient arrives) and easy to understand voice instructions. Remember – you may be the first person to respond to sudden cardiac arrest…but with Philips smart, intuitive technology, you won’t be alone! Rugged (the FRx withstands jetting water, 500 pound loads and a one-meter drop onto concrete) and reliable, the Philips HeartStart FRx AED combines world-renowned Philips quality with practical application to give any first responder the tools to manage sudden cardiac arrest. We hope this information has been helpful. 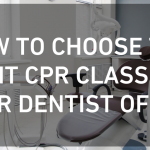 Many CPR training companies focus solely on training and coursework. But we think a robust, responsive selection of AED packages can improve your safety plan immensely. 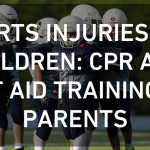 Thanks for choosing SureFire CPR – we look forward to supplying your home, school or business with an AED bundle.